Wanting the most POWER out of your Polaris 800 Without having to modify any internal engine components? 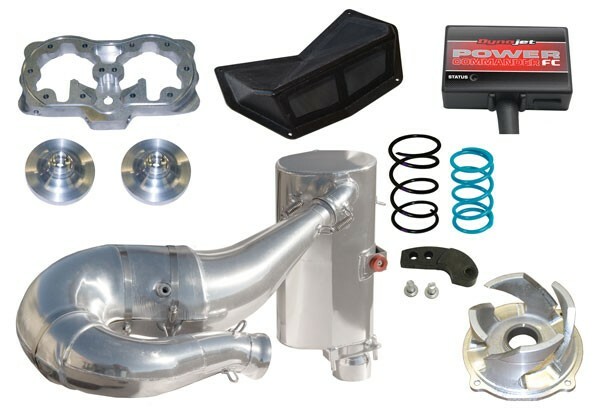 This kit provides a 14.5 horsepower and 9.6 ft/lbs of torque gain over stock. In the field this translates to an additional 2 to 3 sled lengths over a sled equipped with our Stage 2 kit. Throttle response is noticeably improved, making this combination snap to attention and jump immediately on top of the snow to give you the edge you desire. This kit also reduces weight by 5.5 lbs on 2013-16 models (3.7 lbs on 2011-12 models). Note: On 2013-15 models, the Bully Dog GT module (#70-500) can be substituted in place of the PCFC for an additional $250.99. The Bully Dog GT module provides better throttle response and consistency with a little more top end power. Mapping available for all elevations.